Billionaire Leon Cooperman is one of the best value investors on the Street who scored high returns by betting on undervalued companies. Since 1991, when Cooperman founded Omega Advisors, the fund has returned a cumulative 1,536.2%, according to a recent investor conference call. In the third quarter, amid a broader market sell-off, Omega’s holdings lost around 15%, but the investor remained bullish on most of his positions. In previous articles we have discussed Cooperman’s top picks as of October 16, as well as his cheapest stocks in terms of forward P/E. In this article, we are going to take a look at two healthcare stocks and three tech stocks that Omega had among its top 25 holdings as of October 16. Omega Advisors is one of some 730 hedge funds that we follow under our small-cap strategy. Through extensive research, we determined that the best way to imitate the hedge funds’ activity is to follow their 15 most popular small-cap stock picks. In backtests, this approach showed monthly returns nearly 1.0 percentage points above the market (read about our backtests). Our strategy has returned 102% since August 2012, and has outperformed the S&P 500 ETF (SPY) by some 53 percentage points. Allergan PLC (NYSE:AGN) represents Omega’s largest healthcare holding as of October 16, amassing 3% of its assets. The fund reported ownership of 922,375 shares in its last 13F filing, the position being the largest in terms of value at the end of June. Allergan PLC (NYSE:AGN) ranked as the most popular pick among the funds from our database, being included in the equity portfolios of 151 funds, which held in aggregate over 17% of the company’s stock at the end of June. Allergan’s shares lost around 10% during the third quarter and are trading cheap at 11.3 times 2016 earnings, according to Omega. Another investor bullish on Allergan PLC (NYSE:AGN) is Larry Robbins of Glenview Capital (see his take on the company). Glenview held 1.98 million shares of Allergan at the end of June. Let’s move on to Omega’s top tech picks held as of October 16, Alphabet Inc (NASDAQ:GOOGL), Motorola Solutions Inc (NYSE:MSI), and Facebook Inc (NASDAQ:FB), which we will discuss on the next page. Why Are These Five Stocks Falling on Thursday? Why Are These Four Stocks among Top Gainers Today? 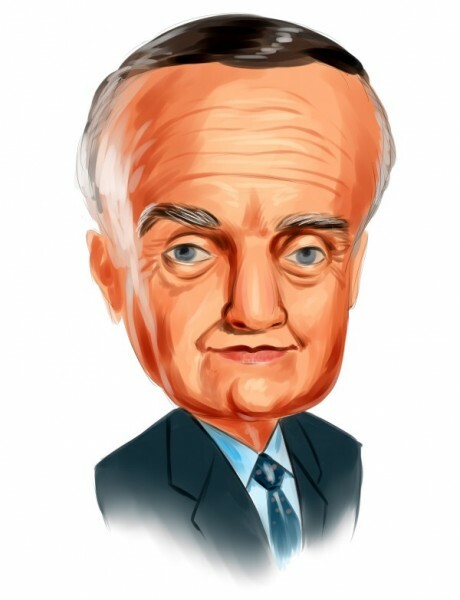 Investors Are Abuzz About These 4 Stocks Today; Here’s Why Dividend Aristocrats Part 17 of 52: Cardinal Health Inc (CAH) A Look at Billionaire Leon Cooperman’s Five Cheapest Stock Picks Strong Insider Buying at Three Companies: Are These Stocks Undervalued?